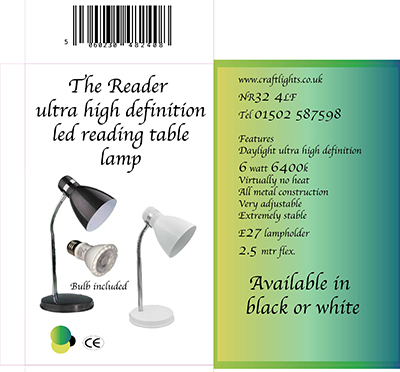 The Conrad is a high specification lamp for the discerning reader, all metal construction, with stunning good looks. The long reach arm with the balanced cable system makes for a very elegant design. Available in Black and chrome or white and chrome. Virtually no heat emites from these . 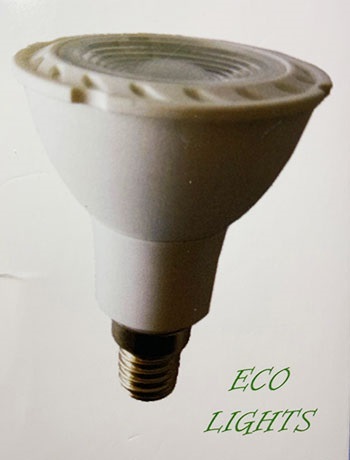 The light scource is a Daylight 6watt 6400k LED cob lamp. These have a clarity which has to be seen to be beleived , raising the contrast of the black print on the white background making it much easier to see.